The wave of Polish immigrants who settled in Buffalo following World War II, found themselves in a city with Polish roots and culture but could not identify with the unique experiences and problems they shared as a group. To alleviate some of this struggle, Father Stanislaw Dawidzak a survivor of the Ebensee concentration camp and assistant at St. Adalbert’s helped to establish the Polanie Club in 1948. The objectives of the club were threefold. First, the membership would help to preserve Polish culture and traditions in America. Second, the club would offer self help and mutual aid to each other and other recent Polish immigrants and third, to provide entertainment and help fulfill the social needs of its members. There were also three categories of membership to make sure the Polanie stayed focused on its mission. To be a full member you had to have been born or attended school in independent Poland and arrived in the United States in the last 15 years. To be a supporting member, you had to be of Polish decent and willing to help Polish refugees and new immigrants, while a patron could be anyone who was interested in the objectives of the club. The Polanie Club also took an interest in non-Polish culture as well. One of the group’s first major undertakings was contributing to the Buffalo Philharmonic Orchestra Maintenance Fund Campaign of 1951. With a membership topping out at 100 people, and many living in the United States for only a few months, the Polanie Club was still able to donate $25 to the fund. They would repeat the feat again the next year and also began putting on productions of their own at the Dom Polski. The interest and membership of the club grew quickly in the early 1950s. The organization incorporated in 1954, and by the end of 1955 they secured a clubhouse at 1210 Broadway. With their own space, they began holding their own events and working with other organizations like the Polish Combatants Association (SPK) to bring in Polish dignitaries including General Wladyslaw Anders and the Olympic Fencing team. Soccer would become a large park of the Polanie Club as the 1950s came to a close. The team would be an important part of the local and district leagues, even operating their own field at the near the corner of William and Union. When the club celebrated its 10th birthday with guest speaker John A. Ulinski its 300 members had mastered providing everything a recent immigrant could need, from English lessons, and classes on citizenship, to help finding work and housing. Under the leadership of Stanley Brzezinski, Karol Tomaszewski, Wanda Kogut, and Alicia Waszkiewicz, the Polanie Club moved off Broadway and into the rooms of the Chopin Singing Society at 18 Kosciuszko Street in the 1960s. This would begin a long relationship between the two organizations that culturally benefited the entire Polish American community of Buffalo. In the ensuing decades, the club would continue to work on important projects across Western New York’s Polonia including fundraising for the Copernicus statue in North Tonawanda and endorsing the 1982 Food Bonds for Poland program. As recently as 2009, the Polish American Congress recognized Mr. Henry Maziarczyk for, in part, the work he did as president of Club Polanie. "3 Soccer Games Scheduled Today." Buffalo Courier-Express [Buffalo, NY] 12 May 1957: 7-B. Print. "14 Fencers From Poland To Visit City." Buffalo Courier-Express [Buffalo, NY] 14 Sept. 1958: 28-A. Print. Chopin Singing Society 75th Anniversary, 1899-1974. Buffalo, NY: Society, 1974. Print. "Club Picks Officers." Buffalo Courier-Express [Buffalo, NY] 21 Jan. 1961: 21. Print. "Club Will Meet." Buffalo Courier-Express [Buffalo, NY] 12 Jan. 1962: 6. Print. "District Soccer Loop Mav Be Expanded." Buffalo Courier-Express [Buffalo, NY] 18 July 1957: 29. Print. "Fencers to Arrive This Afternoon." Buffalo Courier-Express [Buffalo, NY] 15 Sept. 1958: 30. Print. Food Bonds For Poland - Tops Markets Insert. Finger Lakes Times[Geneva, NY] 8 Feb. 1982: n. pag. Print. "Installed." Buffalo Courier-Express [Buffalo, NY] 5 Jan. 1959: 15. Print. Kobielski, Milton J. Millennium of Christianity of the Polish People, 966-1966: Buffalo Diocesan Observance. 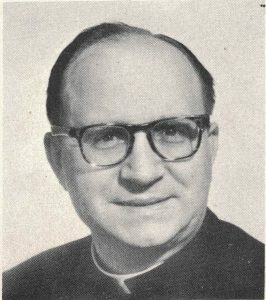 [Buffalo]: Millennium Committee of the Diocese of Buffalo, 1966. Print. "Maziarzcyk, Nieduzak, and Slawinska." The Am-Pol Eagle. N.p., n.d. Web. 17 Dec. 2015. "More Donors For Copernicus Statue Listed." Tonawanda News [Tonawanda, NY] 23 July 1968: 7. Print. "Notice Is Hereby Given." Buffalo Courier-Express [Buffalo, NY] 15 Oct. 1955: 23. Print. "NYS Department of State." Entity Information - POLANIE CLUB, INC. New York State, 7 Sept. 1954. Web. 17 Dec. 2015. "Philharmonic Drive Leader Sees Success." Buffalo Courier-Express[Buffalo, NY] 11 Feb. 1951: 2-B. Print. Polanie Bankiet 1948 1958. Buffalo, NY: Sala Klubu Polanie, 1958. Print. "Polanie Club Marks 10th Birthday Today." Buffalo Courier-Express [Buffalo, NY] 27 Apr. 1958: 13-A. Print. "Polanie Club Party To Welcome New Year." Buffalo Courier-Express[Buffalo, NY] 18 Dec. 1960: 2-D. Print. "Polanie Officers To Be Installed." Buffalo Courier-Express [Buffalo, NY] 21 Dec. 1958: 8-B. Print. "Polish American Congress to Honor Three." The Am-Pol Eagle. N.p., n.d. Web. 17 Dec. 2015. "The Polish American Congress, WNY Division Will Hold Its Annual Swieconka..." Past Events. Polish American Congress, 25 Apr. 2009. Web. 24 Dec. 2015. "Polish Veterans Plan Observance." Buffalo Courier-Express [Buffalo, NY] 27 Apr. 1959: 18. Print. "Polish Groups Mobilizing For Philharmonic." Buffalo Courier-Express[Buffalo, NY] 26 Jan. 1951: 12. Print. "Problems of DP's." Buffalo Courier-Express [Buffalo, NY] 4 Feb. 1959: 7. Print. "Soviet's New Look Policy Called Move to Gain Time." Buffalo Courier-Express [Buffalo, NY] 19 May 1956: 8. Print. Statut. 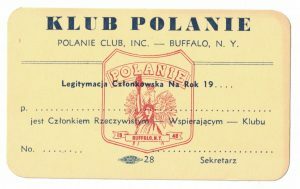 Buffalo, NY: Klub Polanie, 1948. Print. "Variety Show Scheduled." Buffalo Courier-Express [Buffalo, NY] 10 Mar. 1952: 13. Print. Wići Polan (n.d.): n. pag. Print. - Various newsletters of the Polanie Club. Do you have any stories or memories about this location of the Polonia Trail? We would love to hear it! Please send us your story, and if it is chosen, it will be added to the site. ©2019 Polonia Trail | Polish-American Congress WNY | All Rights Reserved | Website by Airship Design Co.